Are you ready for Self-Management? Moving from traditional management hierarchy to self-managing teams, do you find yourself more aware of your competencies and contributions? Well, then it makes sense that you are in the best position to manage your career growth! With transparent career progression, it is easy to assess where you are or what you require to progress to the next level. How many PUTEH trainings have you attended? By now, we are sure many of you will be familiar with Titansoft’s scheme on essential skills — PUTEH. Delving into the different domains of problem solving, user experience, typing speed, Microsoft Excel and usage of hot keys, these practical trainings aim to equip all staff with the essential skills to enhance their knowledge and productivity. Each training is conducted by a different trainer so you can expect varied and dynamic sessions, from interactive games and discussions during the problem solving training to informative and formula-intensive Excel sessions conducted by our HR. One thing is for sure, you will leave each training with useful skills that you can apply to your daily work. What about external trainings, OJT (On the job training) and workshops you have attended? You can track your training and learning progress via LEADS System (Learning and Development System), where you can view your training plan (Skill & Knowledge Criteria) and training records, upload assignments including post-training reports, view past training records, Skill & Knowledge Qualification and Skill & Knowledge Assurance reference for your career advancement planning. For Developers, just look to your personal Training Time Card on Wiki! This training card contains all internal and external trainings you have attended. It also helps your supervisor to review the skill sets you have acquired when you feel ready for your own career progression. In the move to increase autonomy and be accountable for your own learning, YOU can manage your career progression! Feel like you are ready to move up a job grade? Take initiative and submit your request for a panel interview! #1: Product Developer (PD) Self-Assessment Job Grade Point System Guide Reference the guide and check if you fulfill the required points for each job grade under the point system. Base on your own assessment to work out the total points you would get for each category and sum it all up! Move on to document #2 when you are all ready! #2: PD Promotion Supporting Statement Form Provide supporting statements regarding:production support experience, list one major contribution (it can be to product, team, department or company), and produce supporting statements in programming, testing, domain knowledge and production support. Lastly, you can recommend 2 other members (your team or others) to join the panel to gain different perspectives during the interview. Now, this is the true test of teamwork. Well, of course we are sure everyone shares cordial working relations in the company, but it never hurts to select with discretion. Next, it will be a round of validation. This is conducted by technical coaches or experts. Experts in each field will assess your technical skills and knowledge through observation and gather input from other members (e.g. team or PO) to help them on their validation. If you are successful, you will become a candidate for the panel interview that will be arranged by 20th of the month for that quarter’s end. What happens if you don’t make the cut this time? Through a feedback session with the experts, you could also learn more about the areas of improvement you could work on. Not to worry, just try again and remember we never stop improving! Congratulations on reaching this round! Who will be present at this panel interview? The panel members will include your department manager, product owner, a HR representative and the 2 witnesses you have recommended. Discussion will be based on all the supporting documents you have previously submitted to make a well-round assessment. It’s all for one and one for all. The decision will be based on panel members’ votes and every member of the panel has to concur for the promotion to pass. To lessen your anxiety, your results will be available immediately at the end of the quarter. So are you ready to progress? If you are, then mark 20th July on your calendar as that will be the next deadline to submit your application to HR! For non-Scrum teams, you are not forgotten! Talk regularly with your team lead or department managers through monthly self-assessments and quarterly performance reviews to gain a better understanding of your progression. Your team or individual KPIs are also good reflections of your performance. • Manage your time wisely Sprints and time-boxed sessions all have one point in common—a time limit. By setting a time frame, we can productively allocate our resources and focus on delivering our goals. That is why time management is key in our daily work. Wisely using every minute increases your productivity and helps achieve your commitment to your work. Manage your priorities by using a checklist, discuss with your team or utilise your Kanban board to know where the bottleneck is to overcome obstacles! Having nothing on hand may not mean all your work is done. Does it imply a lack of expertise to handle the leftover tasks? Or could it mean your team underestimated the items they can take on? Then take initiative! It could apply to learning new technical skills or reassessing your team’s ability to take on more tasks. Challenge yourself and reap the benefits of going out of your comfort zone. Help! Is that the first word that comes to your mind when you encounter a problem? Yes, we definitely encourage you to get help when the need arises. But hey, why not take it a step further and consider the possible perspectives and solutions before that? Engage your helplines with a more complete story where you can list the problem, propose possible solutions and a timeline for execution. This definitely shows that you have processed the problem and are seeking advice on what is feasible before taking action, making it a more productive problem-solving session. We hope you got a better idea on how to plan your progression, so don’t wait and take charge of your learning now! 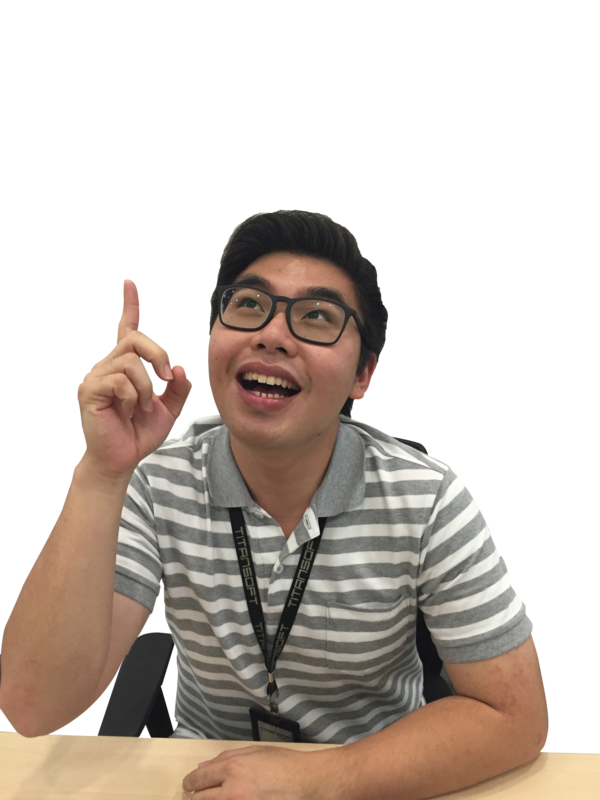 This entry was posted in Titansoft Culture and tagged Agile, career progression, Kanban, KPI, Problem Solving, Scrum, Self-Management, TIME MANAGEMENT, User Experience on July 8, 2015 by Jas. A Sagittarius who enjoys freedom and believes in self-management when given an open work environment that allows people to unleash their creativity and potential to perform effectively. I'm particularly interested in topics on Agile mindset and Kaizen (continuous learning), which apply to different aspects of life. Oh yeah, I love Yoga and travelling! You can expect articles about inspiring thoughts or stories from my travel experiences and more! Don't forget to drop comments or feedback after reading my posts! You made a good point here. Knowing when to get help is essential for self-management to work. Creating an environment where people are not afraid to ask for help is a challenging one.